Democrats think they’ve come up with the perfect strategy to defeat President Trump and the GOP. Stonewall every one of his legislative initiatives while promoting a sham “Russia-Gate” investigation so that his administration is plagued with perpetual scandal. But, on one issue at least the Democrats’ strategy is in total shambles. Trump, relying heavily on his executive authority as president, has been moving full steam ahead to regain control over America’s borders. And to the chagrin of Democrats, his immigration policies are working. 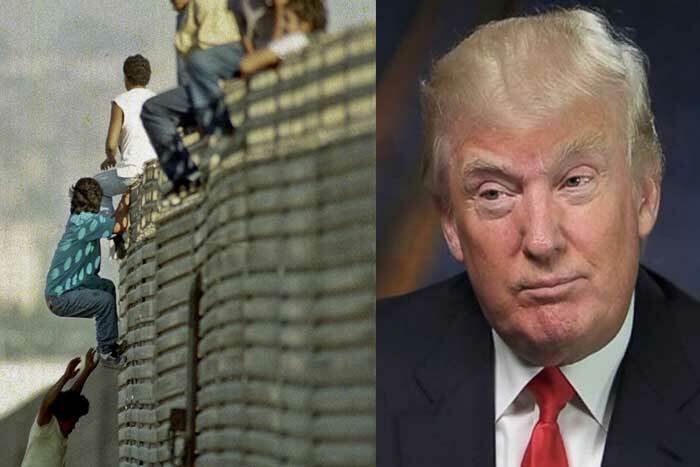 In just four months Trump has put forward a comprehensive package of enforcement measures that has already sent a clear signal to would-be illegal border crossers: Without a legal visa, you are no longer welcome here. And many illegals, it seems, have gotten the message. Unauthorized entries are down a whopping 76% compared to the same period last year, according to Department of Homeland security statistics. And the number of vulnerable children and families massing at the border, and claiming to be asylum seekers, is down even further, a clear sign that Trump’s zero-tolerance strategy has made the border safer and more secure on both sides. Innocent people's lives have already been saved. You have to wonder how many thousands of unsolved murders were done by illegal aliens and they just slipped back across the border. All because this country can't get its act together. I was reading a story the other day, where in Minnesota, a few people were complaining there was no one to pick fruit. Let me get this straight, you're paying thousands of people welfare and to not work, and you can't tell them top pick the fruit??? We need to make these people work for their taxpayer's largesse, the sooner the better.